"The questions to ask about a country's development are therefore: What has been happening to poverty? What has been happening to unemployment? What has been happening to inequality? If all three of these have declined from high levels, then beyond doubt this has been a period of development for the country concerned. If one or two of these central problems have been growing worse, especially if all three have, it would be strange to call the result "development" even if per capita income doubled." Since Seers (1969) revolutionary argument, development partners, agencies and institutions have progressively shifted the focus in defining and measuring economic development with several indicators that are designed to capture, in a pragmatic way, improvement in the quality of life, which is the ultimate targets of development policies and programmes. In addition to concerns about poverty, unemployment and inequality which formed the key issues in Seers' thesis, such key physical quality of life indicators as access to good quality and functional education, efficient, accessible and affordable health care, access to such key infrastructural facilities as good quality roads, electricity, water and sanitation among others have over the years emerged as additional measures/indicators of development. Indeed, according to the World Development Report (WDR 1991): "The challenge of development... is to improve the quality of life...better education, higher standards of health and nutrition, less poverty, a cleaner environment, more equality of opportunity, greater individual freedom, and a richer cultural life." Development practitioners have raised the bar by advancing the argument that the three key objectives of countries' quest for development are to increase food, shelter, health care and protection (security), to raise levels/standards of living, and to expand the range of economic and social choices available to individuals. Furthermore, the argument in the extant literature holds that at the core of the quest for development are three key issues, namely, Sustenance: defined as the ability of the citizens of a country to meet basic needs - food, shelter, health, and protection, Self-Esteem: defined as the opportunity for an individual to be a person in terms of having a sense of worth and self-respect, of not being used as tool for others' end and Freedom from Servitude, which makes it possible for an individual to be able to make political and economic choices that do not infringe on the rights of others. Indeed, as the Human Development Report (HDR1994), has put it, the purpose of development is to create an environment in which all people can expand their capabilities, and opportunities can be enlarged for both present and future generation. 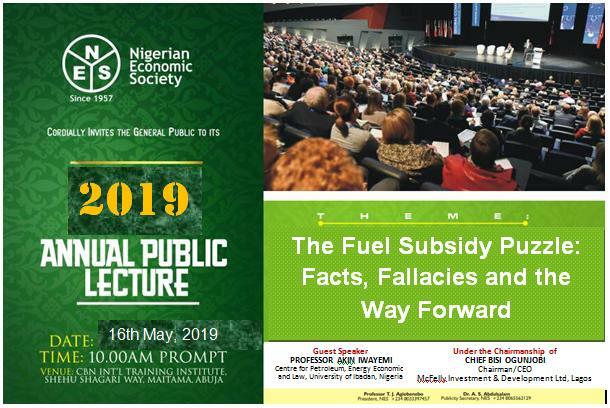 The Nigerian economy, unfortunately, like many economies in sub-Saharan Africa, represents the classic textbook description of the paradoxical disconnect between economic progress, measured using such traditional quantitative indicators as the gross national product (GNP) or gross domestic product (GDP), GDP per capita or GNP per capita and the observed quality of life of the citizenry. In this connection, it can be argued that the widespread misery, debilitating poverty and squalor in which the vast majority of the country's citizens live largely belie and indeed stands in sharp contrast with the high and robust total output and output growth figures that have been posted almost consistently in the country's national accounts over the years. 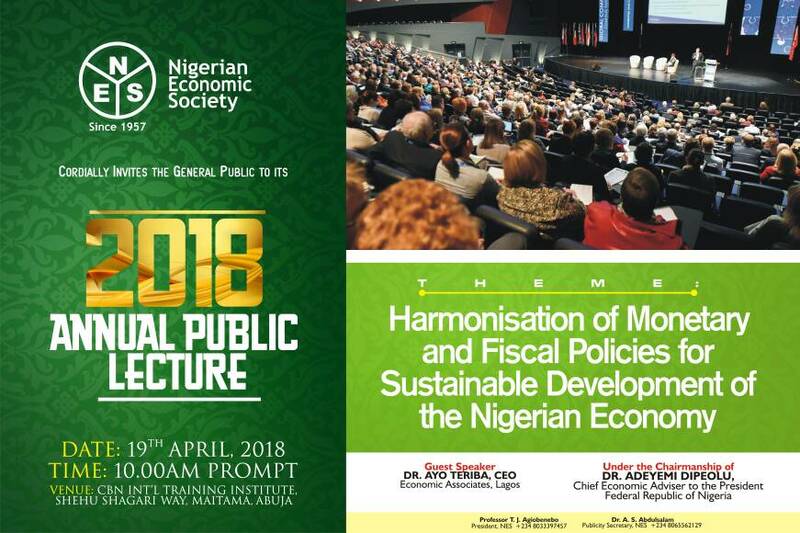 In line with the foregoing argument, the data that are available indicate that the country's GDP growth rate fluctuated considerably between 1960 and 2017, with significant episodes of negative GDP growth rates of -17.6 per cent which was recorded during the Nigeria Civil war in 1967; -15.5 per cent which was recorded during the economic recession in 1981 and -11.1 and -13.6 per cent recorded in 1986 and 1987, respectively. On the flip side, the most significant growth rates of 22.2 per cent and 30.4 per cent were recorded in 1970 and 2004, respectively. On an average basis, the country's GDP growth rate averaged 1.39 per cent between 1960 and 2017. On per capita basis, the country's GDP per capita averaged 1661.41 USD between 1960 and 2017, with a record low of 1089.10 USD in 1968 and a record high of 3184.6USD in 2014. The country's GDP per capita within the period stood at an equivalent of 19 percent of the world's average. Viewed from the perspective of the trend behaviour of the traditional measures of development discussed in the foregoing, namely, the GDP, its growth rate and in particular, GDP per capita, it seems plausible and indeed tempting to argue that the Nigerian economy and by extension, the country's citizens, have fared reasonably well since the country gained political independence in 1960. However, deeper scrutiny of the well-off-ness of the citizens when x-rayed from the perspective of quality of life-related development indicators strongly suggest otherwise. The country's low life expectancy at birth which averaged a mere 53 years between 2010 and 2017, low adult literacy rate, which averaged 66.9 per cent between 2010 and 2017, high and disturbingly rising incidence of poverty which averaged about 77.6 per cent between 2010 and 2017, the burgeoning rate of unemployment all largely serve to corroborate the argument of an existence of a huge and significant disconnect between growth rate of GDP per capita and the quality of life indicators..
Sixty years down the line since the first of the Annual Conference of the Nigerian Economic Society and with the African Development Bank's renewed interest in rekindling the theoretical and empirical discourse on Quality of Life indicators, coupled with the Bank's renewed interest in the practice of using Quality of Life indicators to evaluate the socio-economic outcomes of developmental policies, programmes and financing as encapsulated in the fifth of the Bank's high five priority areas which is aptly captured as "Improve the quality of life for the people of Africa", some fifty years after Dudley Seers thesis on the Meaning of Development, The Nigerian Economic Society considers it appropriate to select as the theme of its 60th Annual Conference ECONOMIC POLICIES AND THE QUALITY OF LIFE IN AFRICA. The broad objective of the Conference is to shed some new insights into the use of Quality of Life as indicators of socio-economic development and to examine how effectively they can be used to track inputs into development-oriented policies, programmes and financing and the corresponding outcomes from these inputs. The Conference seeks to examine the current practices in the use of Quality of Life Indicators to gauge developmental outcomes, examine the constraints and possible alternatives to the current practice. It is expected that the Conference will yield some new ideas on and insight into the use of Quality of Life Indicators to track progress out of poverty, the most pervasive and daunting challenge faced by governments, aid agencies and development partners around the world. In addition, the Conference seeks to put on the front burner cross country comparison of outcomes of developmental policies, programmes and financing by addressing methodological issues in the construction of Quality of Life Indices that could make such comparison possible. Given the objectives of the Conference, the following six sub-themes have been selected to address the issues that the Conference seeks to address. We invite authors to submit Abstracts on any of the sub-themes listed above. The Abstract should be typed in standard MS Word or Adobe Acrobat PDF format. It should not be more than 700 words in length, typed in Times New Roman, font 12, double line spacing. The submission should include the following in the order in which they are listed: title of the research paper, the author(s), JEL classification codes, overview (not more than half a page), research questions, research objectives and research hypothesis (if any), the model to be estimated (if any), Data (definition and proxies (if any) and data sources, expected results, references and the corresponding author's mailing address, phone and e-mail address (for papers that are jointly authored). Please, note that any submission that does not adhere STRICTLY with these submission guidelines will not be considered. The Abstract should be submitted electronically to: nes.conferences@gmail.com and copy: heoaikhenan@uniben.edu.